Do Tattoos Mess With How You Sweat? Tattoos are extremely polarizing: Some people (like — full disclosure — me) can’t get enough of them, while others still believe tattooing is a “demonic craft” (no, really). Whatever your opinion, recent research arguing that tattoos interfere with the way we sweat—which could have negative repercussions for health—may embolden the haters and prevent proponents like me from keeping our chill. The research, which was published in Medicine & Science in Sports & Exercise, discovered that tattooed skin excretes nearly 50 percent less sweat than untattooed skin. This could mean very active, heavily tattooed people might be at elevated risk of heat-related injuries — such as heat stroke and heat exhaustion — since their bodies can’t dissipate heat (which is done via sweating) as quickly as untattooed bodies can. The study also found that sweat from tattooed skin contains nearly twice as much sodium as the perspiration that comes from untattooed skin — and sweating out this much salt could result in hyponatremia, i.e., sodium deficiency. To come to this conclusion, the researchers recruited 10 healthy, young men with a tattoo on only one side of their upper bodies. The researchers then applied pilocarpine nitrate (a substance that initiates sweating) to both the tattooed skin and to an equal amount of untattooed skin on the other side of the body. Directly after the skin had been exposed to pilocarpine, the scientists swabbed the skin to absorb (and analyze) the resulting sweat. It should be emphasized that this was a very small study and involved chemically induced perspiration. No women were studied; no elderly people were studied; and the men weren’t exercising to create body heat. In other words, the study didn’t analyze any kind of real-world situation. In the end, further research is necessary to come to a definitive conclusion on the matter. 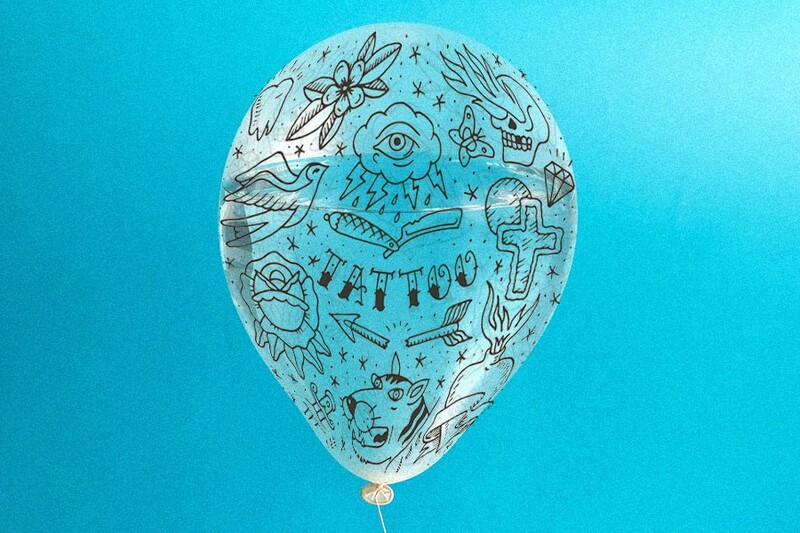 On that count, sadly, tattoos (and how they affect our bodies) remain an understudied subject; although it’s about time researchers step up to the plate, since nearly half (47 percent) of millennials have at least one tattoo. Those tattoos obviously aren’t going anywhere.